PASSION & PINOT. COURAGE & CHARDONNAY. WE MAKE DELICIOUS WINES FOR FAMILY & FRIENDS. 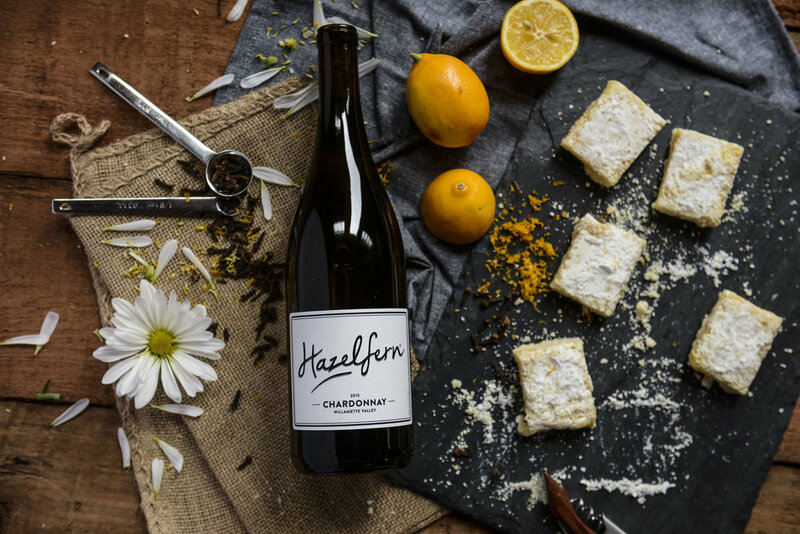 HAZELFERN BEGAN IN A DINGY PORTLAND BASEMENT AND FOUND A HOME IN A HISTORIC CHEHALEM WINE BARN. WE MAKE WINE FOR FAMILY, FRIENDS, AND LOUD MUSIC. Unmatched elegance and steez, this wine is like your kid sister who walks into a party and is immediately everyone’s best friend. Fresh picked cherries, Fruit Roll-Ups, wild boysenberries, and crushed roses are accented by hibiscus tea, blood orange peel, wild truffles, and homemade jam on cinnamon toast. Precision and texture. Fresh squeezed grapefruit, guava, kumquat, green mango, and flavors of thai papaya salad are accented by orange blossom, bee pollen, wet quartz, and terracotta. Toffee and lemon cake add richness and complexity on the back end. The finish lingers and brings you back wanting more. Come and kick-off Oregon Wine Month in the wine barn at Hazelfern's third annual Derby de Mayo celebration! Join us on Saturday, May 4th, from 12-5pm. In anticipation of summer, we're releasing our 2018 Summer Rosé! There will be wine! There will be Cinco and Derby inspired bites! There will be music! There will be fun and games!